Yes it’s true, I am following up a vegan cleanse blog post with a post dedicated to beef. 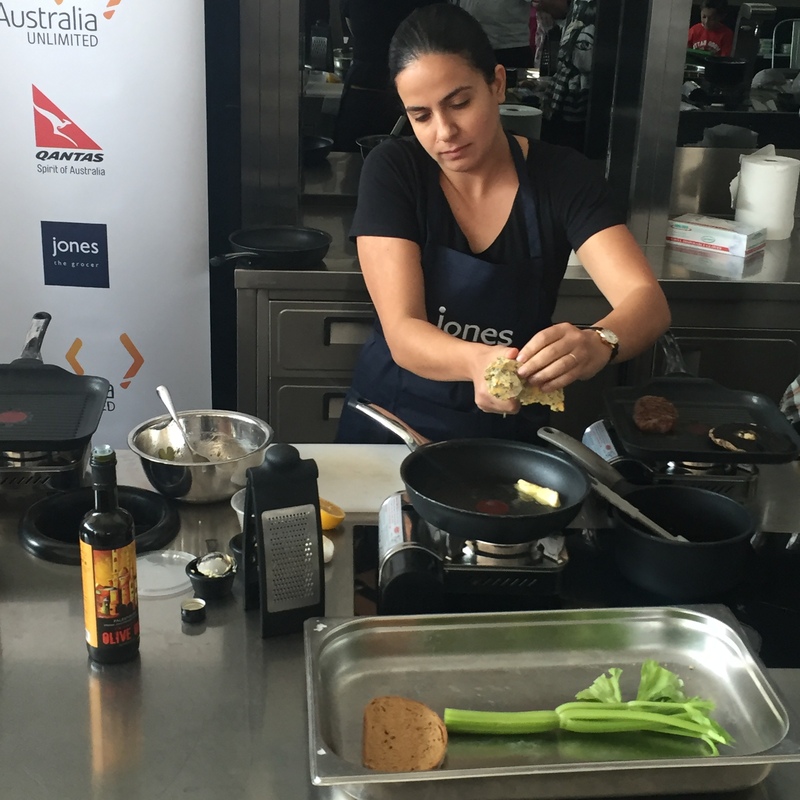 The truth is just a few short days after I completed my cleanse, I was asked to compete in the annual Australian Unlimited Culinary Cook-Off 2016, an initiative by the Australian Trade Commission in collaboration with Jones the Grocer, with Australian beef as the hero ingredient. 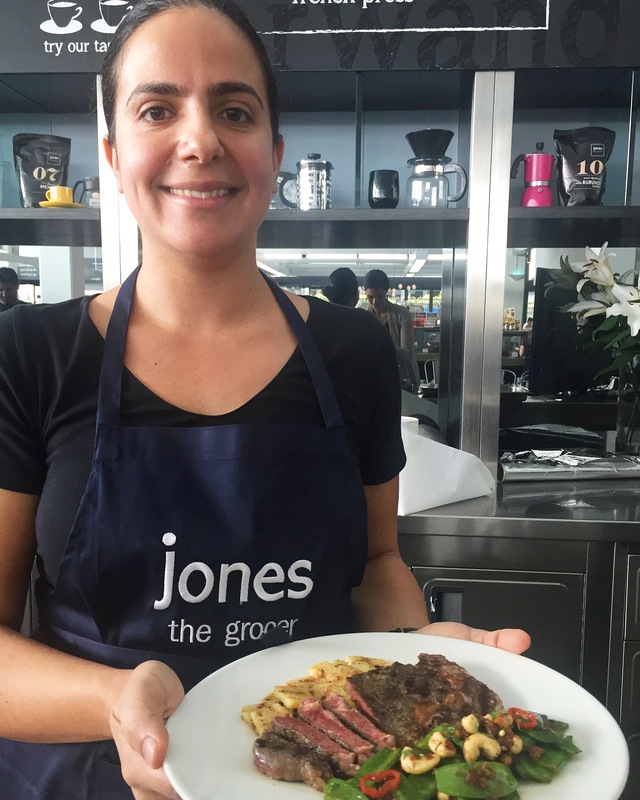 The instructions were simple, create an impressive and healthy main dish in 30 minutes with a cut of OBE Organic Beef and access to a small pantry of mystery ingredients. The 12 contestants would later be reduced to four and compete in a second challenge, given a new cut of beef and new mystery ingredients. Needless to say the invitation had me beaming with joy, my obsession with Masterchef had finally manifested itself into an opportunity, I knew I had to participate as an ode to my inner chef. With an unpredictable schedule I decided to outsource the task to an avid Memoirs of a Taste Bud fan. The possibilities were endless however vivid memories of a certain Saffron Prawn Linguini by my dear friend Lauren overcame me, a talented home cook and an obvious choice. 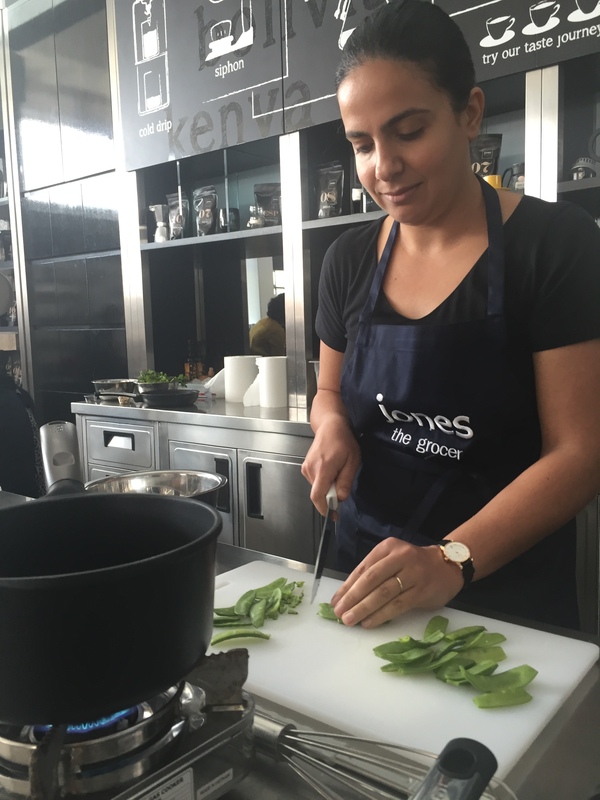 Lauren agreed to compete on behalf of Memoirs of a Taste Bud, with two Quantas Airways tickets to Australia at stake, she would vie for the culinary affection of three celebrity judges. 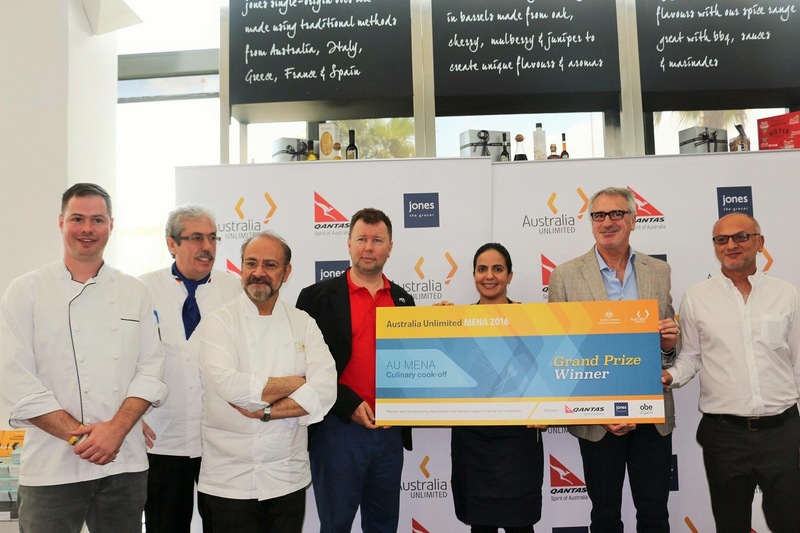 Competition day was filled with anxiety, suspense and adrenaline, after all the contestants had to impress Michelin Star Chef Greg Malouf, President of the Emirates Culinary Guild Chef Uwe Micheel and Jones the Grocers very own Executive Chef Alex Ferriss. 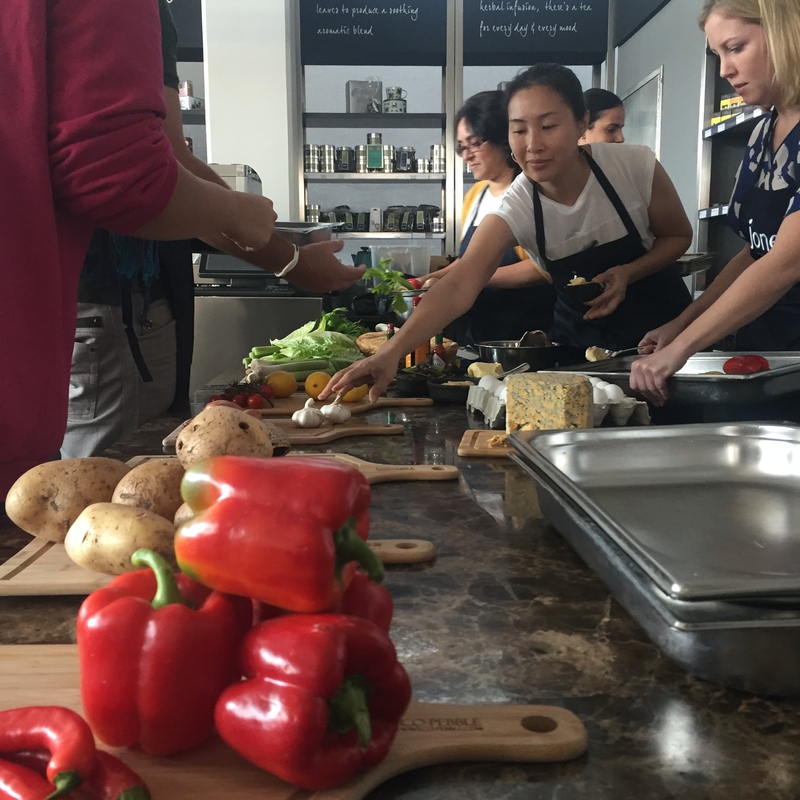 The camera’s were rolling, spectators were seated, cooking stations in place and mystery ingredients revealed. 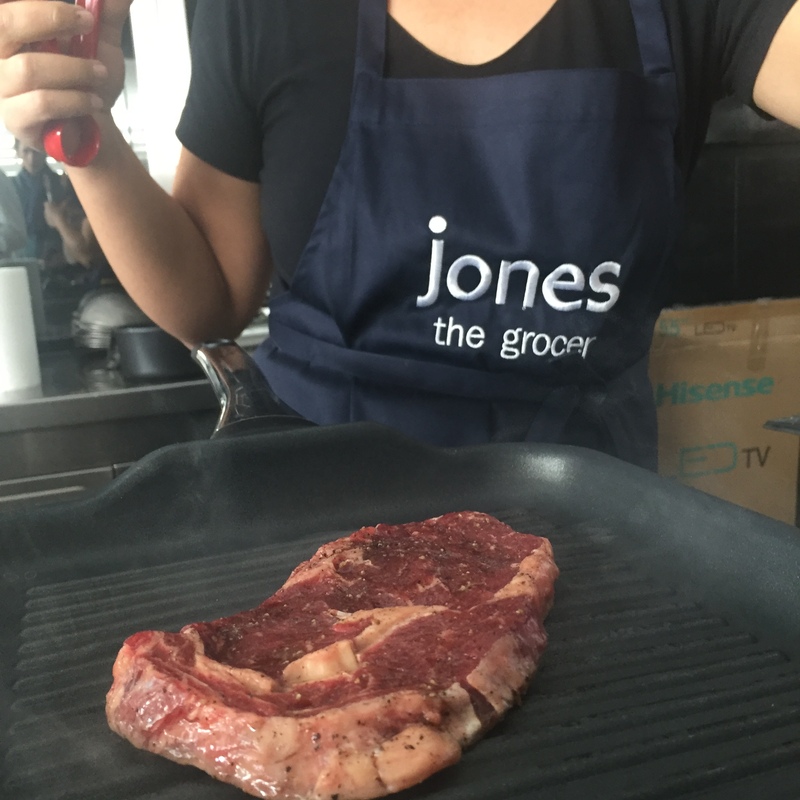 The competition commenced, Lauren efficiently snapped up her ingredients including shallots, portobello mushrooms, garlic, butter and blue cheese to pair with her fillet. Her poise under pressure was impressive, after a painstakingly short 30 minutes, the judges carefully deliberated over the dozen dishes. Her open faced steak sandwich with blue cheese sauce and caramelized onions seemed to have caught the judges attention as she was selected as one of four finalists. An entirely new spread of mystery ingredients were displayed for the final challenge including a plethora of herbs, spices, sauces, fruits and vegetables to pair with an OBE Organic ribeye steak. Lauren seemingly embraced the flavors of the far east with her selection, calm and collected she chopped, simmered and grilled until her soy-glazed ribeye steak with sugar snap pea stir fry and chargrilled pineapples was complete. 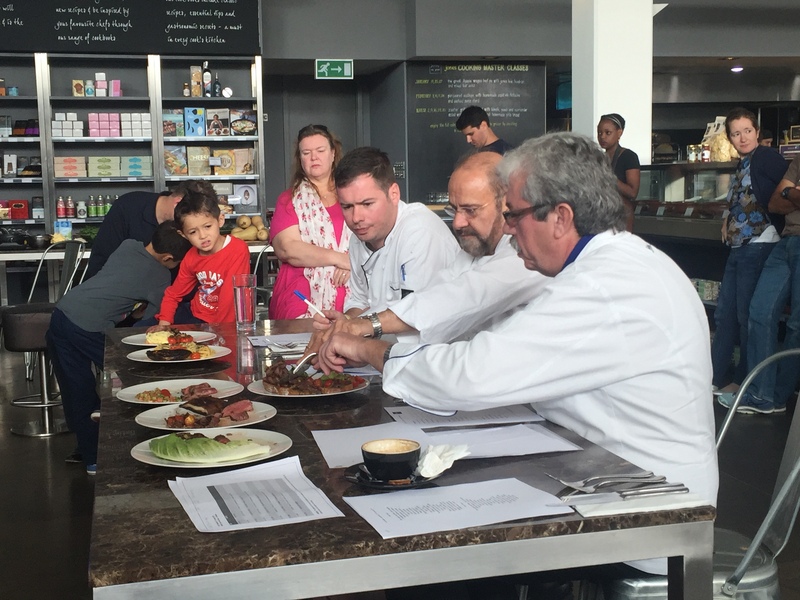 Nerves were high as the judges sampled all dishes and whispered among themselves, judging dishes based on time management, hygiene management, waste management and of course, taste. 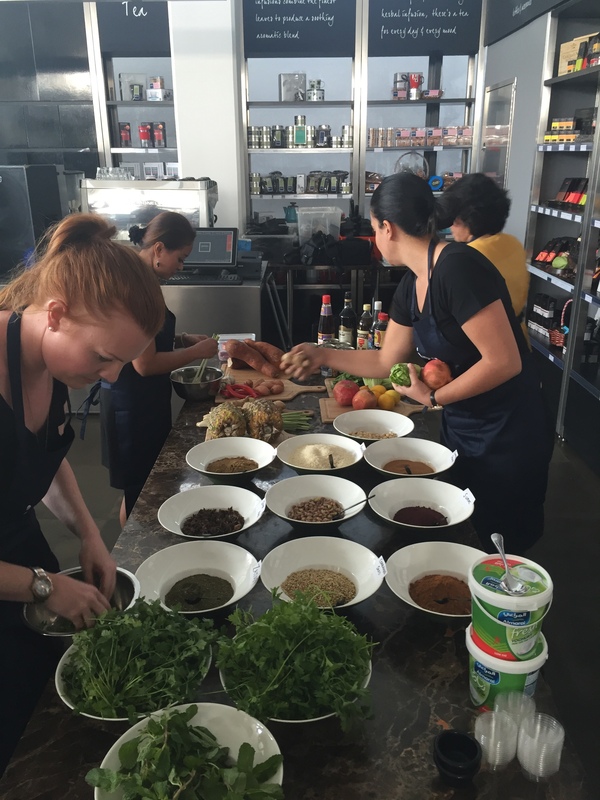 The competition was fierce but I wasn’t at all surprised when Lauren was inevitably crowned the winner of the Australian Unlimited Culinary Cook-Off 2016. Lauren has shared her recipes here, I hope you and your cherished ones enjoy them as much as we did! Any foodie advice for Lauren’s upcoming trip to Australia? Place a griddle pan over high heat until it is searing hot. Season the beef fillet with salt & pepper to taste and keep at room temp. Cut the stalk of the Portobello mushroom so it can sit nicely on the pan, and let it cook until the juices start to come out flipping it from side to side making sure it is charred nicely from both sides. Place olive oil + butter in a pan over medium heat, add the shallots and cook until caramelized. Set aside. 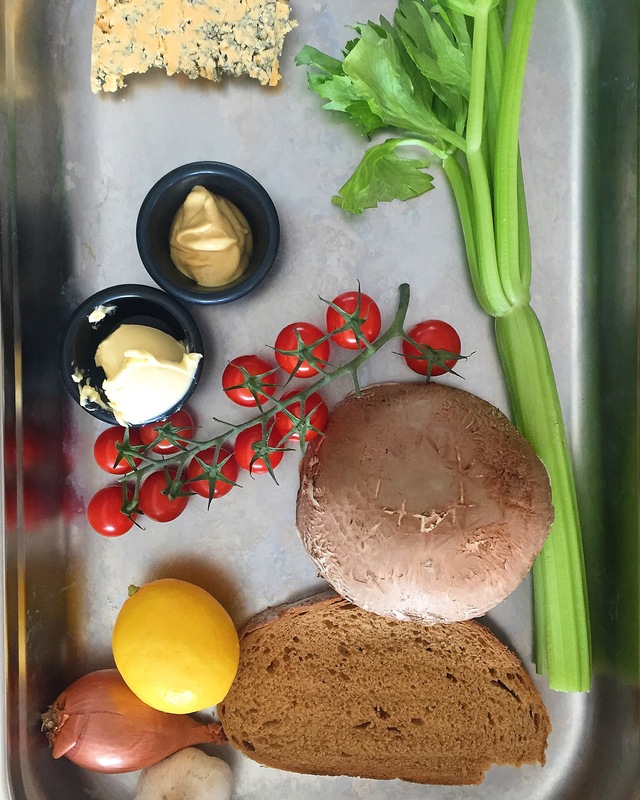 Mix the cherry tomatoes, celery sticks, half of the celery leaves with Dijon mustard, lemon juice, garlic & olive oil. Season to taste with salt & pepper and set aside. Cook the beef fillet from both side to your liking (make sure the pan is searing hot, this should leave nice grill marks on the steak), finish it with a small squeeze of lemon juice and let it rest for approximately 7’. Grill the bread from both sides. Melt the butter & cheese in a pan over low heat until the cheese is completely melted. Smear the bread with the butter & cheese sauce. 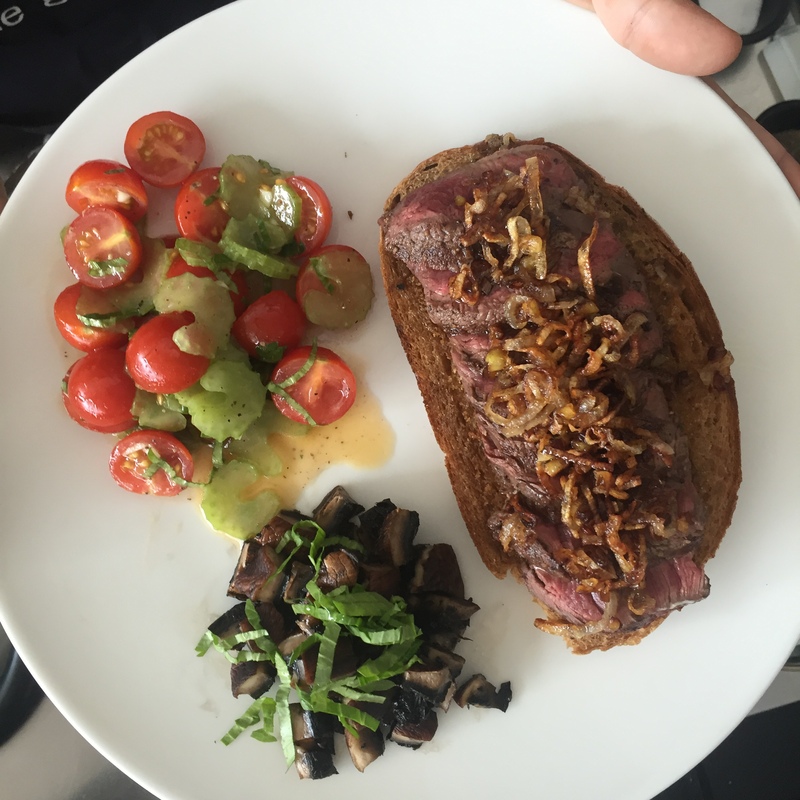 Cut the beef fillet in thin slices and assemble over the bread, top with caramelized onions. Cut the Portobello mushroom into small cubes and season with salt, pepper, olive oil & lemon juice. Assemble the plate adding the seasoned mushroom and tomato salad on the side. Season the rib eye with salt, pepper to taste and keep at room temperature. Season the pineapples with cinnamon and grill in griddle pan until it is nicely charred from both sides. Set aside. Roast the cashew nuts until they are nicely golden. 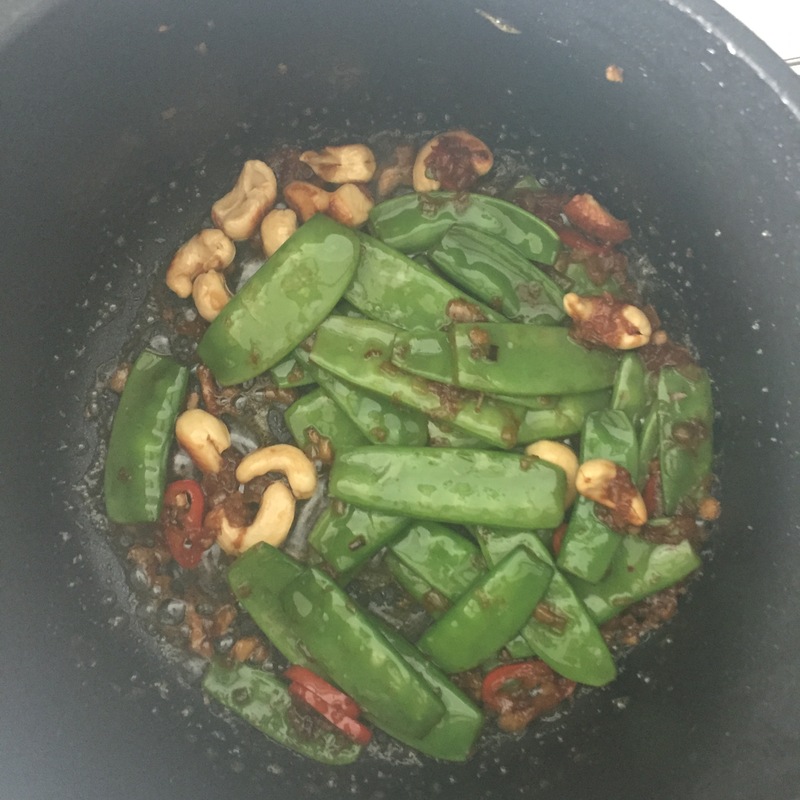 Stir fry in olive oil the ginger, onions & garlic until they turn brown in color, add the snow peas & chili and cook for additional 2’. Finish with soy sauce to taste. 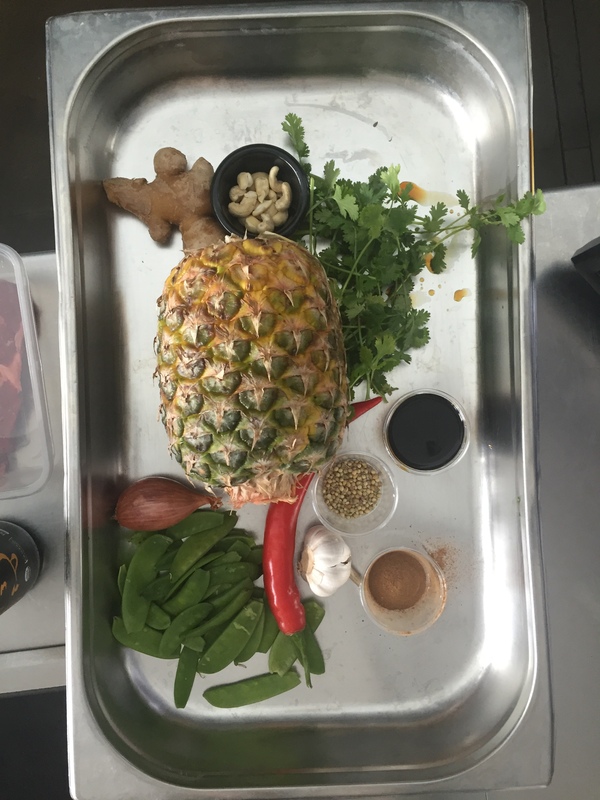 Assemble the plate by placing the grilled pineapples first and adding the rib eye on the top, place the stir fried snow peas on the side.